How can a website change tomorrow? You sank a ton of money into your website (or relied on your friend's nephew), but nobody bought into your product or your cause. You spent countless sleepless nights and untold dollars marketing your business, but saw little to no return on your investment. You lost your most productive hours fretting over the minutia of fonts and colors - leaving you with no time to focus on your mission. 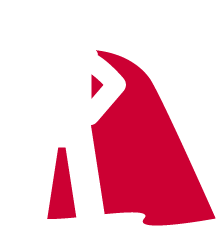 Your visitors transform into paying customers, raving fans or cause ambassadors. You begin to see each hour and dollar you put into your marketing return double or triple the investment. You discover hours of each day free to focus on what matters most. Whether you've determined to chart a new course for the future of humanity or simply to pursue a brighter tomorrow for your own family, if your success will mean a more compassionate and just world tomorrow or 100 years from now, we'll move mountains to see you succeed. But don't get all sunshine and unicorns on us yet. You still have to do the work today to see change tomorrow. As your partner, we're here to keep you from wasting time on things that won't get results by showing you where to focus your efforts to achieve the greatest impact. But don't get all sunshine and unicorns on us yet. You still have to do the work today to see change tomorrow. As your partner, we're here to keep you from wasting time on things that won't get results by showing you where to focus your digital marketing efforts to achieve the greatest impact.  Your customers' perception of your business is the backbone of all your marketing efforts. Take the time to get this right and you'll be miles ahead of your competition. You and your business are more than just a pretty face. Prove it with a strategic, customer-centric website designed to deliver sales, subscribers and social good. Today, your business can do more than just advertise. Learn how to engage your customers right where they live, work and play via social media, email and more. Copywriting is the driving force of marketing - online and off. Ensure your copy speaks directly to your customers, in language they use, and watch the sales roll in. Don't know where to begin? Just tell us where you want to go. Don't worry about knowing the lingo. You may not know what your website needs, but you know where you want your business to be. Tell us where you're headed; we'll show you how to get there. What do you get with Happy Scribe Media? Where other web designers want to know your preferred colors and design aesthetics, we want to know about your business goals and your target audience. From the first discovery meeting, we'll dig in and custom-engineer your website to achieve the results you need. Writing can be hard - especially writing for the web and writing for results. Fortunately, at Happy Scribe, you won't be forced to write your own content (unless you want to) or to find a separate agency. We'll take care to ensure your copy is hitting the mark with your customers. If your bottomline is actually a triple bottomline - people, profit, planet - you're one of our favorite clients. We get that social returns on your investment are just as important as financial returns. We'll ensure your mission is the driving force behind your marketing strategy. We consider each of our clients a partner, and we're in it for the long haul. Every website build includes one-on-one training to ensure you can confidently take over the reigns, but we won't leave you hanging. Our affordable care plans include support hours, security, maintenance and more.. There's no need to wander in the dark when it comes to marketing your business online. Check out our blog to learn from the aha moments of other trailblazers and discover the tips and tools you can use to lighten your load and transform your business. Want to give optimizing your website a go on your own? 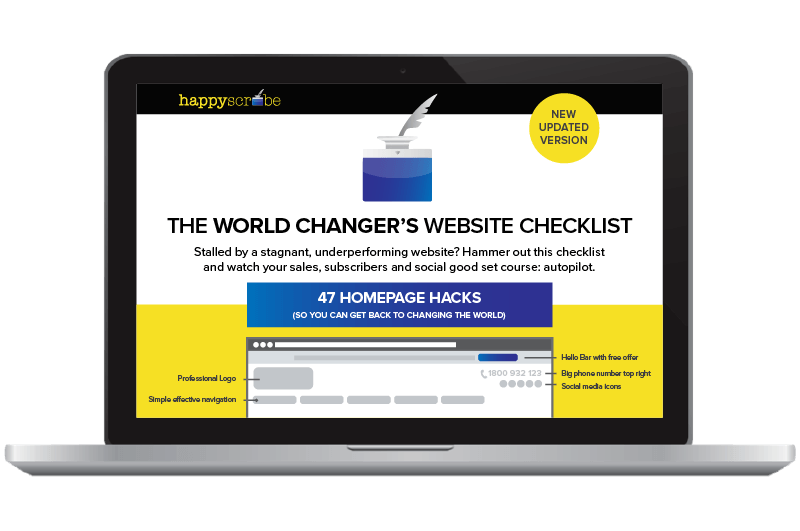 We'll get you started with this free 47-point homepage checklist designed to double your leads in just seven days. 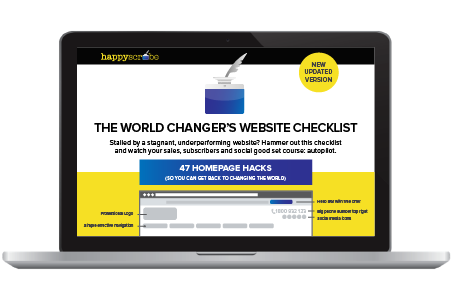 If you're going to optimize your website on your own - skip the guessing game and use this Worldchanger's Website Checklist to zero in on the tactics that really matter today.